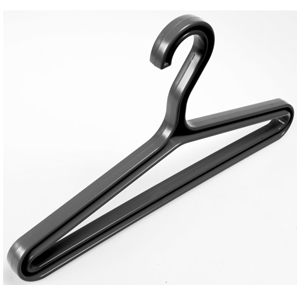 WHEN THE AVERAGE HANGER JUST DOESN'T CUT IT, RELY ON THE SUPER ECONOMY HANGER. We know your gear is often heavy and wet. So, we built the Super Hanger sturdy, with high quality non-corrosive materials. It holds more weight, so your valuable stuff won’t end up on the ground.